On the fairways and in the clubhouses of courses across the world, the nature of golf is changing. On the fairways and in the clubhouses of courses across the world, the nature of golf is changing. Gone are the days of fusty old geezers hacking around the rough in plus-fours sneering at the common folk, they've been pushed aside in favor of a new generation of golfers. Thankfully, for these golfers style and attitude are more important than ever, with more attention being paid where it counts—your skill with an iron rather than your background, your bank balance, or whether you're (shock horror) wearing sneakers in the club house. 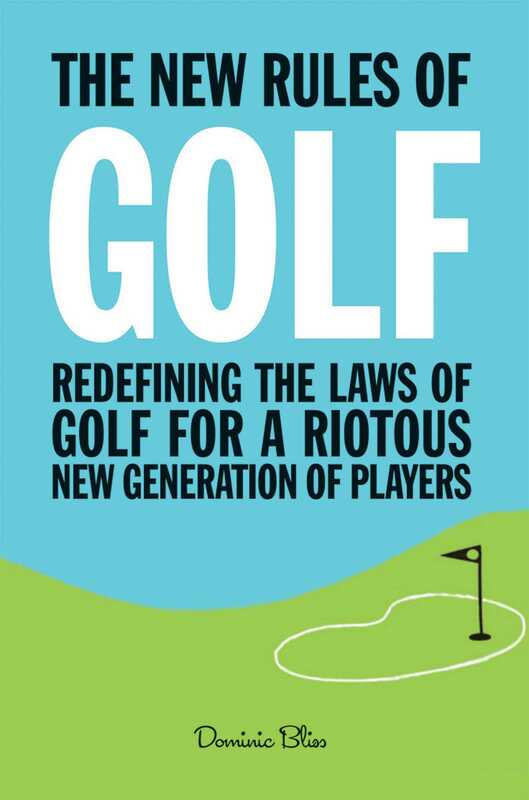 As a result, it's about time to rip up the rulebook, do away with the traditions of the game, and rewrite the laws in the most anarchic, irreverent way possible—that's where "The New Rules of Golf" comes in. No more will women be banned from the clubhouse, exclusive memberships be permitted or pleated tartan trousers be tolerated. Instead, these 50 hilarious statutes and observations on the sport will reflect the true revolutionary feelings of the new breed of golfer who is bored of being told what to do.